How are you? I hope that you enjoyed my recent back to school series. Now back to my more regular posts of activities and opportunities for early learning with your little tikes. I'm always looking for interesting ways for children to write! It doesn't always have to be pencil on paper. Now I can't take credit for this idea - it came from here! 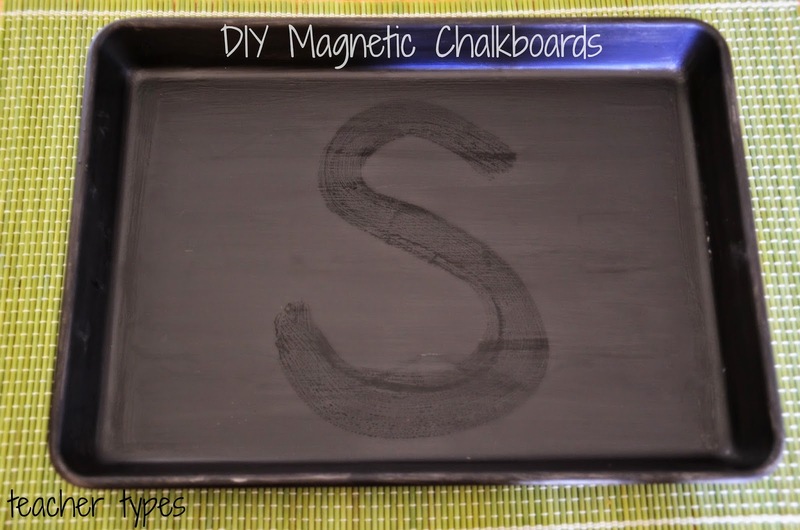 But I had a go at making these DIY Magnetic Chalkboards, simply by painting some oven trays in chalkboard/blackboard paint that you can buy at Bunnings (or any other hardware shop I'm sure). First and foremost - get back to old school and use them with chalk. These days with smart boards and whiteboard, children don't use chalk much any more. 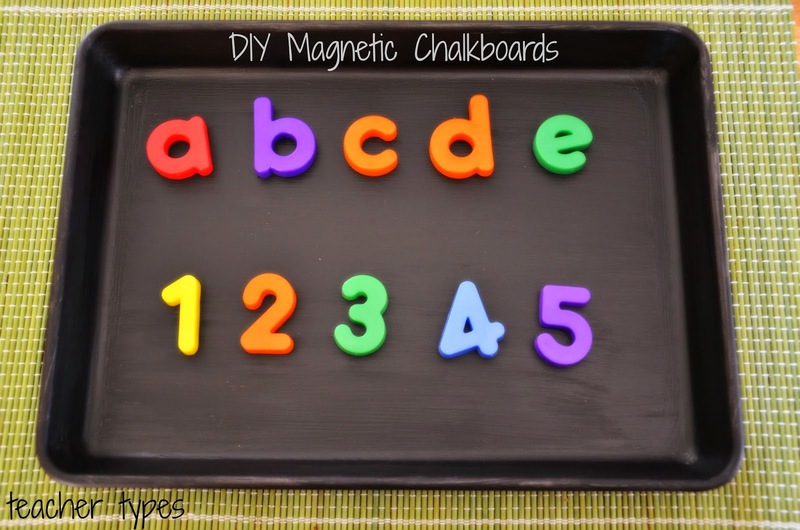 Secondly, they make great magnet boards for letters, numbers and word building. Finally this little nifty idea - simply paint with water! No mess no fuss! 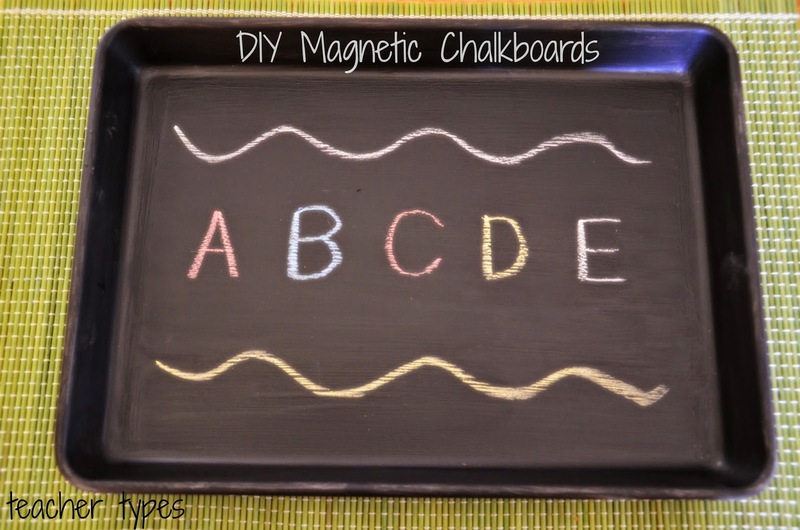 You could also paint over the chalk board letters, numbers or patterns you have done first. 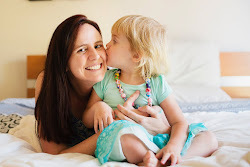 Well now, a little about what's going on with me... Hubby is out tonight on a bucks night so I'm home with a sleeping toddler (thank goodness!) all set to catch up with what's been happening in the blogging world. I'm bursting to tell you my exciting (blog related) news but I'll just have to wait for the next post! I'm all set to go back to school next week and so excited to get to know my new little people. Little Miss is doing so well, lots of talking, stringing more and more words together. So proud! Tell me - what's one of your child's (or student's) non pencil + paper ways to write? Looks like I need to get some blackboard paint! This is a great idea! Little E will love using his street-chalk indoors, and his X-Men Magneto Glove (covered in magnets) that I made him will work with it too.